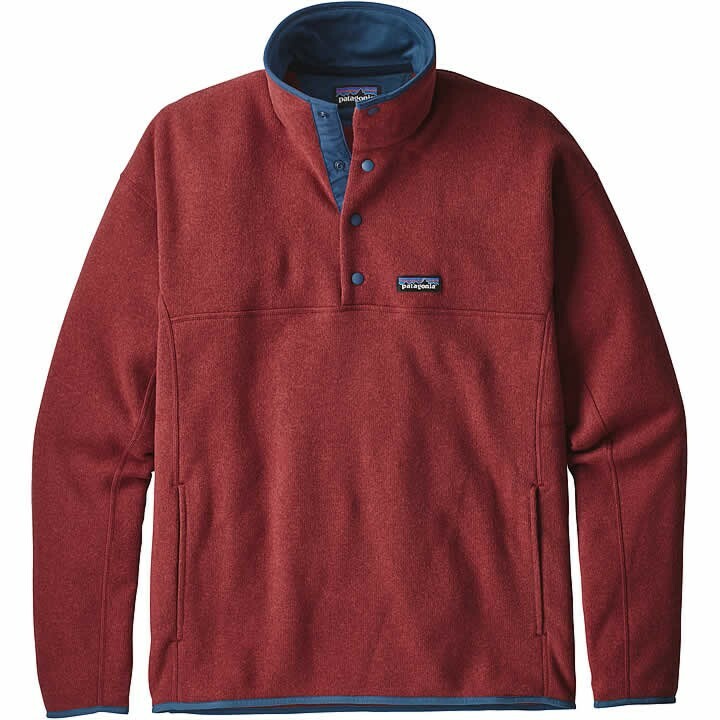 Patagonia's Lightweight Better Sweater® Marsupial Pullover has a lively 100% polyester fleece fabric with a smooth sweater-knit face and a warm, supercomfortable fleece interior that wicks moisture, dries quickly and feels soft enough to use as a pillow. It features a stand-up collar to warm your neck, a 4-snap front placket for quick venting and a large, kangaroo-style handwarmer pocket that holds more than just your hands. Raglan sleeves allow a full range of shoulder motion and flat-seam construction reduces bulk and eliminates chafing. Elasticized cuffs and hem seal in the warmth. Hip length. It's also Fair Trade Certified™ sewn, which means the people who made it earned a premium for their labor.